The mission of Prevail Magazine is to Expose the truth. Guide the lost. Save the dying. The Church of God International (Philippines) reaches out to a worldwide audience, advancing the Good News of God’s coming Kingdom and heralding salvation by Jesus Christ, the King of Kings and Lord of Lords. 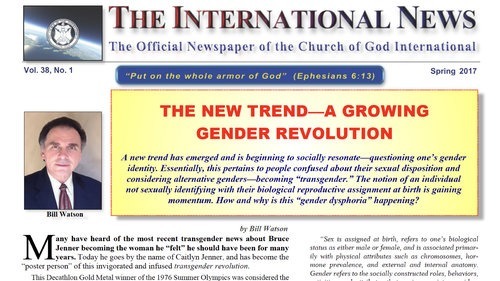 The official newspaper of The Church Of God International is published quarterly. 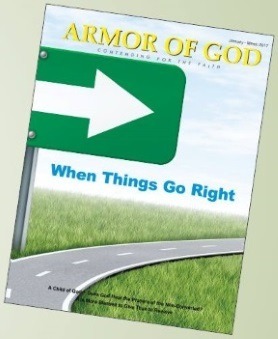 This publication covers a wide variety of topics. 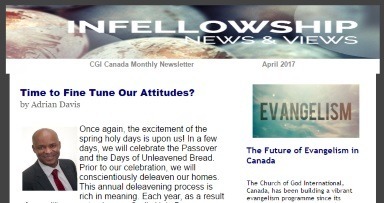 Read The International News and see how The Church Of God International is impacting the globe for Christ. 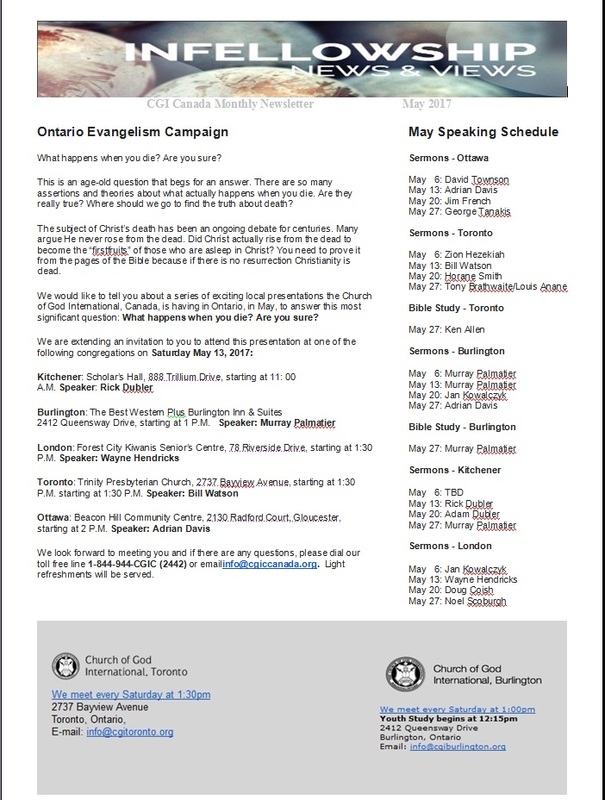 Cgi Canada produces a monthly email newsletter to update members and coworkers of “things happening” in the Church in Canada along with Christian living articles.